On Monday 18th August, Dr Konstantin Horas from the ANZAC Research Institutes’s Bone Biology group presented with three other finalists and was awarded the Concord Repatriation General Hospital (CRGH) Early Career Research Prize for 2014. Congratulations Konstantin! Dr Horas with other members of the Bone Biology group. 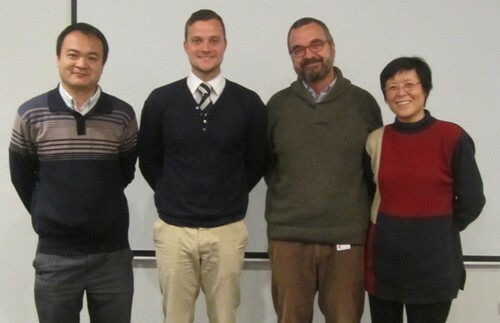 Left to right: Dr Yu Zheng, Dr Konstantin Horas (Winner CRGH Early Career Research Prize 2014), Prof Markus Seibel, A/Prof Hong Zho. To provide Leadership and excellence in health and medical research activities throughout Australia, with a focus on aging, to improve the future health and medical care for the Australasian community. Help us to continue our research by donating.